Írta: a2t | 2008. 06. 24. Banks is the master of melancholic introductions. He just simply can’t let the reader start reading his book without bringing his spirits down. I can easily imagine him going to a private party at the age of sixteen, and in half an hour’s time everyone’s sitting in a corner, staring at nothing utterly depressed. But, onwards with the review! Banks’ universe is full of all kinds of awesomeness, and by the second line, we’re all merrily playing along. I know, I have sung hymns of praise about his skills at creating a unique atmosphere before. But, in my defence, it is the writer himself who forces me to go on about it each and every single time. Sooo, Masaq Orbital’s just preparing for a feast, with a bit of grief to go with it. How unsurprising. The event’s composer, Mahrai Ziller, is a genius indeed and a Chelgiran exile to boot. At this point, we’ve left the Idiran-Culture War far behind, but the light of exploding suns are just arriving on the orbital, honouring the special occasion. I have to say, I was taken over by a sense of nagging loss, as after reading the first sixty pages, the reader had not yet been rewarded with a punny little ship name. Not complaining though, we have plenty of Chelgrians and other races to make up for it. The Chelgrian society is organised around a caste system, but it was also capable of producing a very famous creature for the world to appreciate. Trouble is, that creature fled from his home planet to live in self-imposed exile, while actually harbouring hostile feelings towards it. It’s just as well that the Chelgrians can’t turn a blind eye to him. So they send an envoy instead to get him home. And it’s just as well that the Culture wishes to keep itself well away from further conflict, so they envoy gets a bit of an entourage in order for the visit not to have inconvenient diplomatic consequences. The Culture, along with the hilarious ship names, are among Banks’ original inventions that would make me read his comments on the mating habits of frogs with equal eagerness. Its queer power lies in the fact that despite the Culture being a defining force, we, the readers know next to nothing about it. There are some odd comments, and each of the characters relate to it somehow, and they always turn out to be the puppet-masters, but still, we don’t know anything of them. On one hand, I would guess that Banks doesn’t, either. On the other, every bit of information about the Culture is well appreciated, and you can write just about anything of it, and anything to counter what you have just written. Hmmm, it seems I have missed the light of those exploding suns just as the little conspiring troupe I have been talking about. I guess it has all to do with the decadence that all of Banks’ characters radiate. So they settle the deal for everyone to have their own piece of the pie, and a fair share at that. The thing is that the writer details the plot in such a minute manner that one begins to wonder whether the whole of Windward would be about plotting. Well, the plot veers off course, of course. The plot thickens too, and even if it is not a Dickens, they have to carefully weave their lies, because they will have more to worry about than their pies. At times like this, the readers muse on the nature of decadence and re-evaluate their previous thoughts on the matter. Maybe it’s just that these characters are touched by the decadent climate of their days, and they know already what awaits us in the future. It is such a pity that they already know what we have yet to discover, but we in the past don’t know what they know, really. It’s all epistemological, y’know? Now, to tally it all up: we have a barely conscious tragic hero, a renegade, and a protagonist from the Culture as well, plus some wacky, out-of-nowhere plot elements. 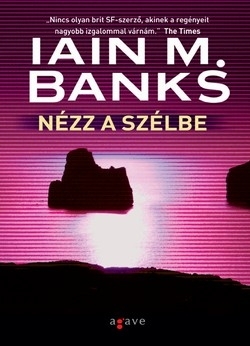 Fairly regular for a Banks novel, wouldn’t you say? At least you cannot say that it is a boring mix, and it does fit the book. Oh, and one more thing: there is this strange, “it’s over now?” feeling that I can’t quite put anywhere. Maybe he was just sick by the time he wrote the ending, or maybe I got smarter while reading the series, but this one didn’t have the usual sinister, yet open-ended feel to it. Or maybe, he’s just testing himself: by finally ending off his novel in a regular fashion, he’s trying on the guise of a writer way past his prime. I cannot know for sure, and I really hope that no matter how he finishes his books, I will never have to worry and ponder about it ever again.